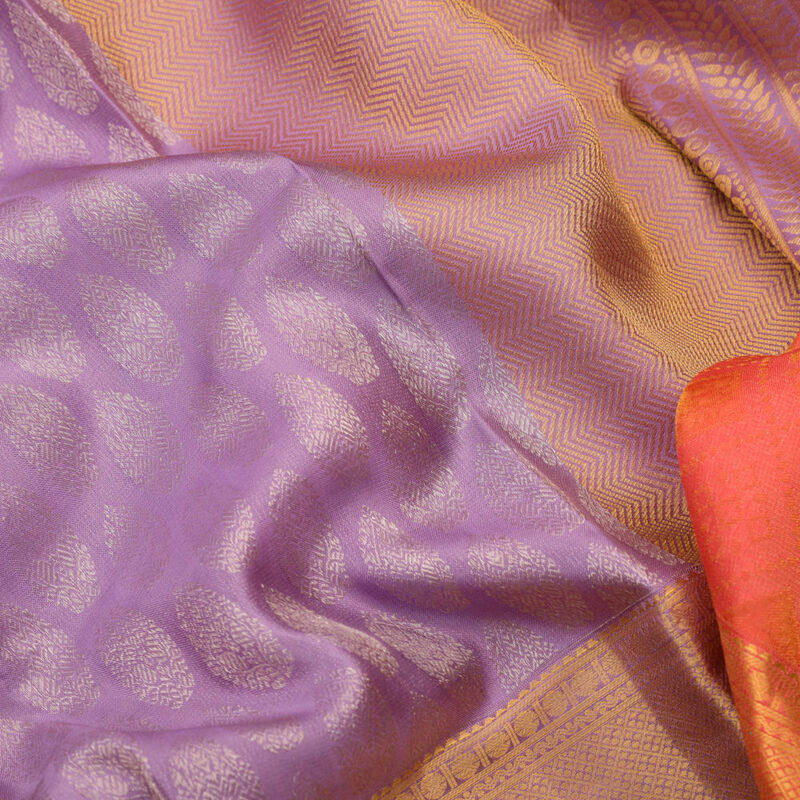 The pastel lavender colour of the body highlights the silver zari floral buttis of the silk saree. 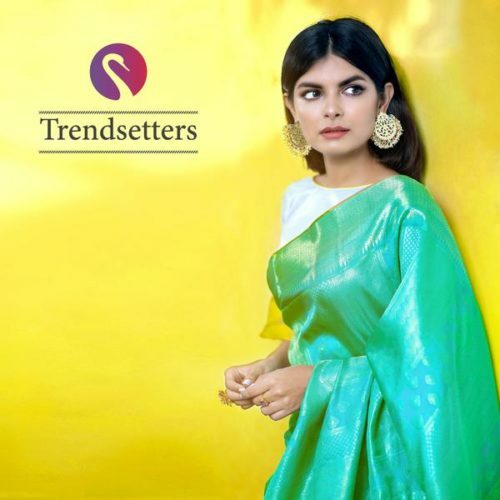 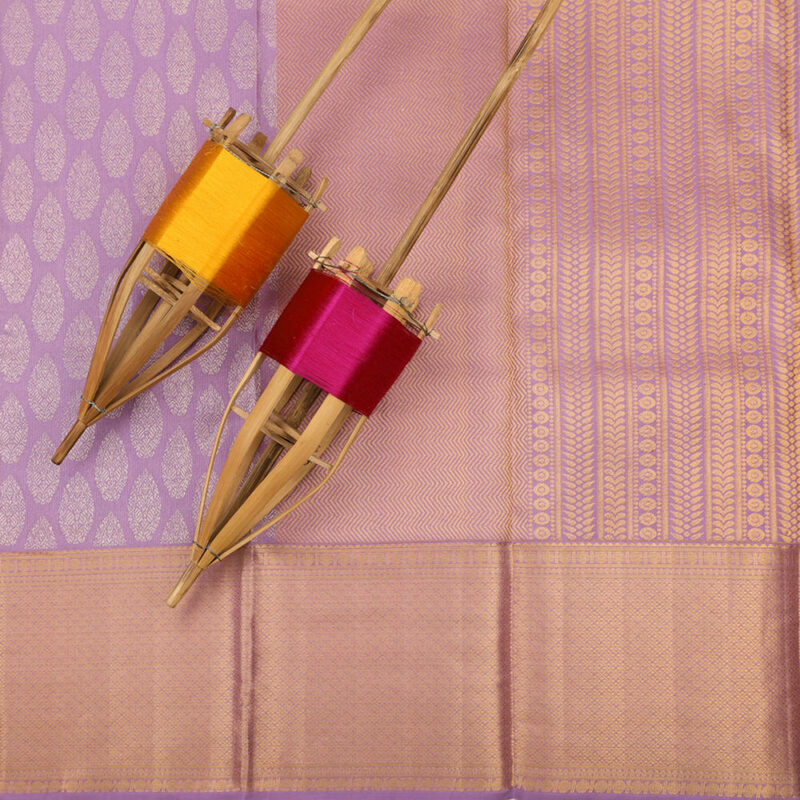 A traditional thick golden zari borders the saree. 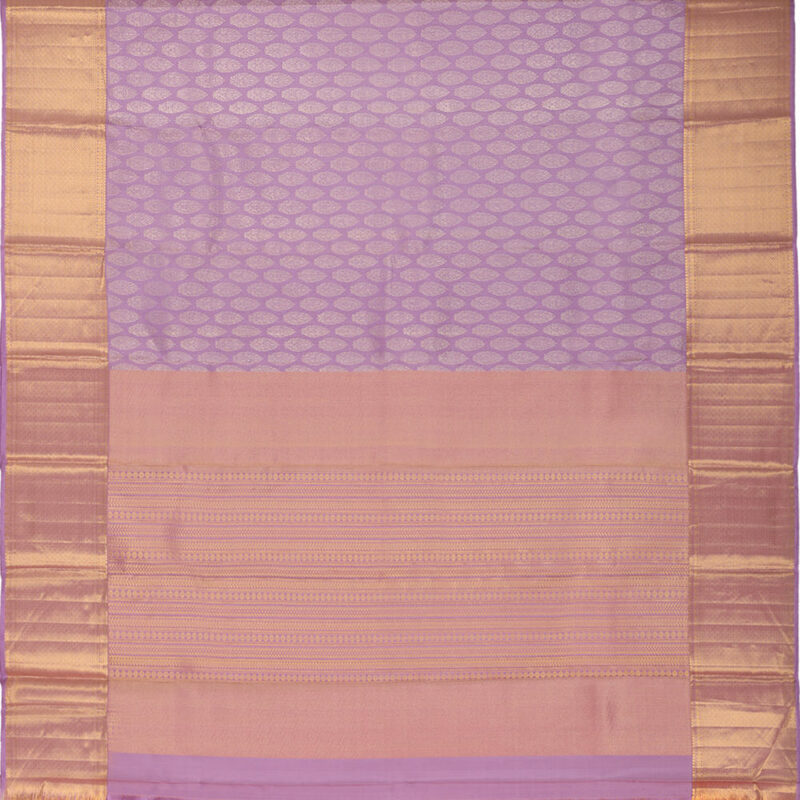 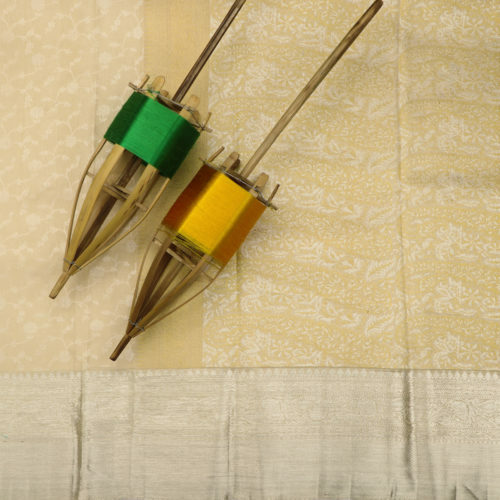 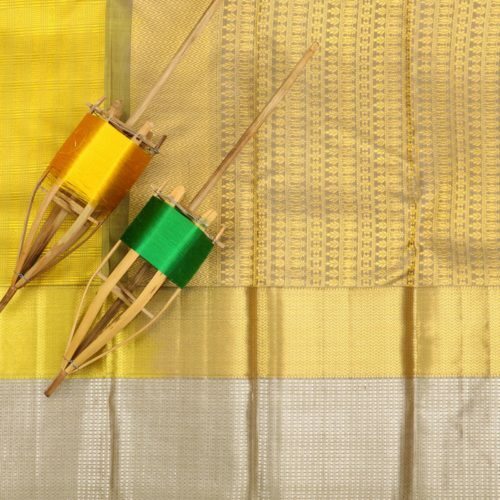 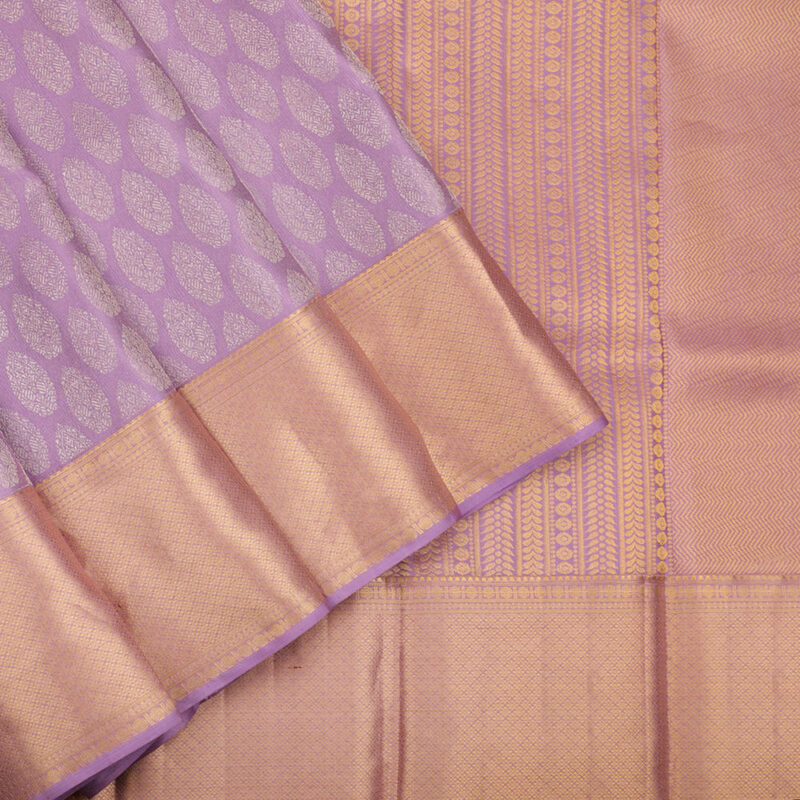 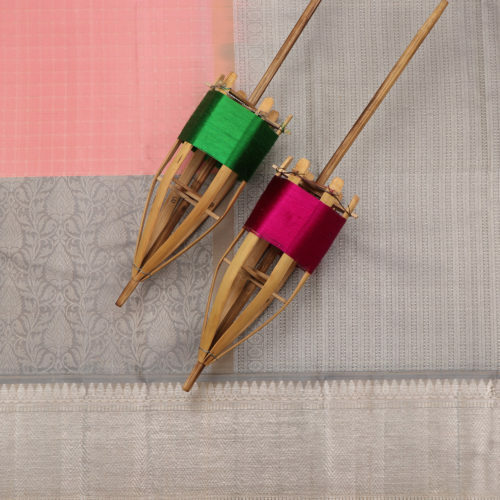 The pastel lavender of the pallu is enhanced by the rich golden zari works. 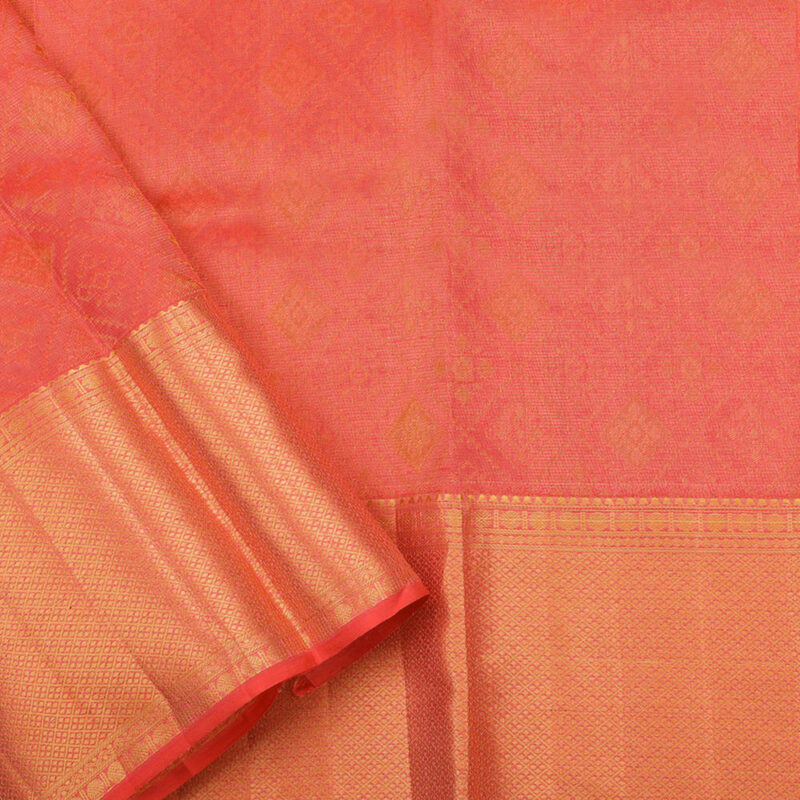 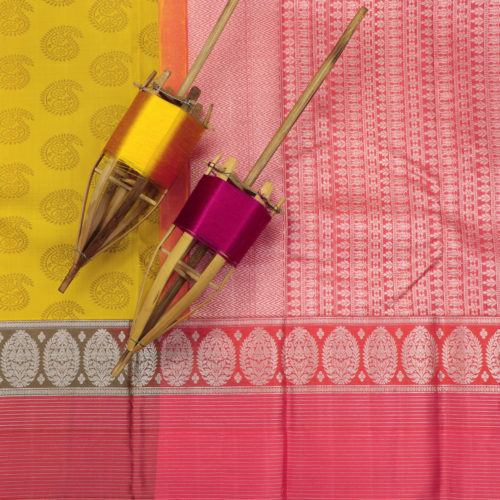 A rouge-pink brocade blouse with banarasi patterns accompanies the saree.